Why have your battery inspected? Car batteries typically last 3 to 5 years, but factors like driving style, weather conditions, and frequent short trips (less than 20 mins) can cause additional wear. If battery problems are not resolved, it can lead to a dead battery and stalled car. Worse yet, it can also end up costing you more in the end, as a weak battery puts additional stress on other parts of the vehicle. 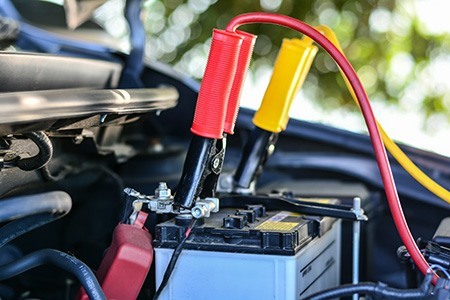 An electrical systems check by a licensed GM professional will clarify if an issue is minor, or if the battery is old and needs to be replaced. Regular servicing will prevent the battery from failing and ensure it is safe and efficient.